This Ignition Coil fits MANCO TALON 260CC LINHAI 260 300 ROKETA MC-54 VALVE VALVES ASSEMBLY ATV UTV, also fit for the following models: Roketa MC-54B-250 250B 250cc touring scooter Manco Talon 4x4 / 4x2 / 260cc / 300cc VOG road scooter 260 BMS TBX 260 Xinguye Brand XY260T- 4 Linhai Aeolus 257, 260 & 300cc Tank Touring 250DE Road scooter JCL Model 260 fire Wing 260 diam Turista 257, 260, 278 & 300cc Motorbravo 260XY Lance Grand Touring 250 & 260 Road scooter Xingyue VOG 260 Xingyue VOG 260 Aprillia Leonardo 250, Leonardo 300 Many Other Chinese Scooters With Linhai 260 / 300cc Engines. Looking for ideal Linhai300 Ignition Coil Manufacturer & supplier ? We have a wide selection at great prices to help you get creative. All the LH250 Ignition Coil are quality guaranteed. 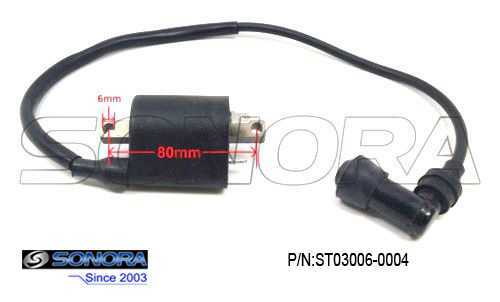 We are China Origin Factory of YP250 Ignition Coil. If you have any question, please feel free to contact us.